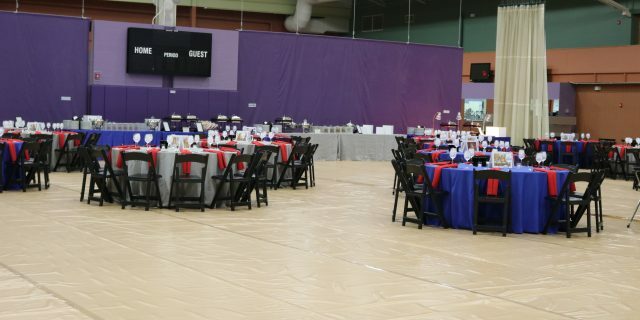 Sachs Recreation Center is the ideal venue for hosting your next event! Rental opportunities are open to the community, civic organizations, and businesses to meet, play, or celebrate at our facility! The whole facility, pool, gym(s), party room or café are available for rental. For your convenience, the Sachs Recreation Center offers a full catering menu designed to make your event a huge success! For information about catering, banquets, rentals, or parties please call 847-572-2600, email us (info@sachsreccenter.org) or visit the front desk.